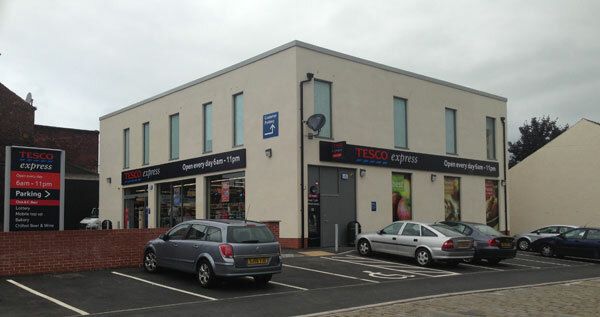 MSTONE Build completed on time and on budget the £350,000 redevelopment of a former pub at Heywood in Lancashire to create a Tesco Express store for the leading UK retailer. The national construction company first demolished the fire-damaged, red-brick Stonemasons Arms pub in Heywood, near Oldham, and then created a purpose-build store for Tesco on the site with first-floor, back-of-house offices. MSTONE Build managed to overcome difficult access to the store site and also found space for parking at the side.